Video games are no longer in the realm of a fringe hobby. There are more gamers out there than ever before. Chances are that even if you are not a gamer, someone in your immediate family owns a video game system and several games. These possessions are one of many valuable things that needs some special attention when being packed for moving. Systems, controllers, peripheral accessories, and the games themselves should all be packed carefully. When moving your video game equipment, it is important to remember that it is sensitive and expensive electrical equipment. Avoid extreme temperatures: Things expand and contract when exposed to extreme heat or cold which can damage electronics. Disc-based media can be warped by extreme heat. Electronics generally should be kept around room temperature or slightly cooler. Keep dry: Water is not the friend of electronics. It can short out electronic equipment if the item is turned on when wet. Additionally, it can get inside systems and computers and rust and damage the metal parts. Don't damage your discs: CDs, DVDs, blu-rays, and video games all come on discs that can be easily scratched or smudged. This type of damage can cause the disc to become unreadable. You'll want to avoid handling discs more than necessary and they should always be kept in cases or a paper covering, at the very least. 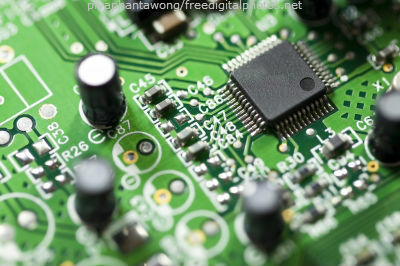 Blunt force: Blunt force is bad for most items, but for electronics it is especially bad. Computers, game systems, and any media players usually use a laser to read the data from a disc. A solid blow could easily shift the alignment of the laser and make the player non-functional. Use the original box if you still have it: When you buy a video game system, it normally comes in a box that is a specific size and is packed a specific way. Usually video game systems are secured in their boxes by customized Styrofoam or cardboard that is designed to keep the system safe en route to the store and then to your home. If you have thrown out the cardboard or the Styrofoam innards of the original packaging, then the original box is just a starting point for your packing. 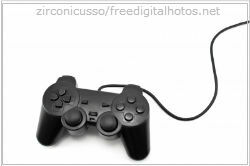 Unplug everything: Video game systems typically have two cords coming out of their backs. One is a power cord that usually contains a heavy power brick. The other is what connects to your TV and relays the audio-visual information. Both of these should be unplugged before packing the system. Leaving the plugs in the system could damage the cords as they're forced to squeeze in to a tight box. It should also be easier to transport the system without these cords attached, since the system usually is simply a rectangular prism with wires. Remember that power bricks are often segmented as well, so you should unplug that, too. Wrap up the wires: The now separate wires should be wrapped up to save space. If you remember how the wires appeared when you first opened the system's box, that is a good goal for the optimal tightness of your wrapping. A loose circle is ideal and you can use a twist tie to keep the cords in place. You should label the cords or keep them close to the place they go in the system so you don't have trouble hooking everything up after you unpack. Secure the box: If you don't happen to still have the system's original packaging, you'll have to pack it with a new box and new materials. You'll want to find a box that is marginally bigger than the dimensions of the system. You need to make sure the system will not move in the box. Packing paper, peanuts, bubble wrap, or even cardboard braces may work. Remember that just shaking a video game console can damage it, so make sure everything is secure. Using packing peanuts alone may not be sufficient because a game system could be heavy enough to crush them if it is moving around. Keep it tight and the system should be alright. Wrap the wires around them if they have them: Most modern controllers are now wireless, but there are still quite a few wired controllers out there. Lightly wrapping the controller's wire around itself is the best way to make it ready for packing. Try not to pull the wire too tight or have the wire put any stress on the joysticks. Remove batteries: Batteries left in controllers for long periods of time can leak, especially if exposed to extreme temperatures. If your controllers have batteries in them, remove them for the move. Avoid putting direct pressure on the face of the controller: Prolonged stress on the controller's joysticks or buttons can lead to damaging the springs in the controller that make these inputs work. If you tightly bubble wrap a controller, you may be doing more harm than good if the wrapping is depressing all the buttons or pulling the sticks in one direction. Give the inputs space to remain at their neutral position. Secure the controller from the sides or not at all: In order to keep the controller secure without putting pressure on its face, you can have tight packing on the sides of the controller while leaving a little space for the face of the controller to breathe. A controller can take a little movement so it may be best to put controllers in a box with lightly packed peanuts. These should minimize movement and contact between multiple controllers, but not cause enough pressure to consistently depress buttons or pull on the joysticks. Other video game accessories like microphones, the Wii's Balance board, or Rock Band's guitars should all be packed in a way similar to controllers. Remember to remove all batteries from all accessories. The varying size and shape of these objects may complicate things, but it is best to disassemble what you can and lightly secure accessories, keeping inputs from dealing with excessive pressure. Again, if you have the original packing, use it for these uniquely shaped items. There are too many different peripheral items to go over all of them here, so you need to use your own judgment when packing them. Just remember that they fall into the electronic entertainment equipment category that was mentioned earlier. Once you have your video games safely packed, you're ready to move to your new home where I'm sure countless other quests will be completed.